Hi! So…who has an eater of “particular tastes” in the family? *Raises hand. I don’t want to use the word, “picky” because it seems kind of harsh, and I don’t mean to “pick” on those who like what they like and avoid the stuff they don’t. That seems fair. It even seems fairer when they keep trying NEW things to expand their diet (if they don’t, give them a gentle nudge). The more you expand, the more fun dinners can get, the more opportunities for nutrition, the better health you can have, and so on and so forth. There is always something to be said about fish in my experience. I have patients and clients that either love it or hate it. My husband hasn’t always been a fish-lover, but I’ve seen him grow to really enjoy it. What’s the secret? Well as you probably know, FRESHNESS makes all the difference. If you were born and raised in a land-locked city where all seafood was shipped and possibly frozen for a long time, I don’t blame you for not being enthused with what you got on your plate. Another factor is of course, how it’s prepared. This brings me to this wonderful recipe for Panko Oven-Fried Cod. 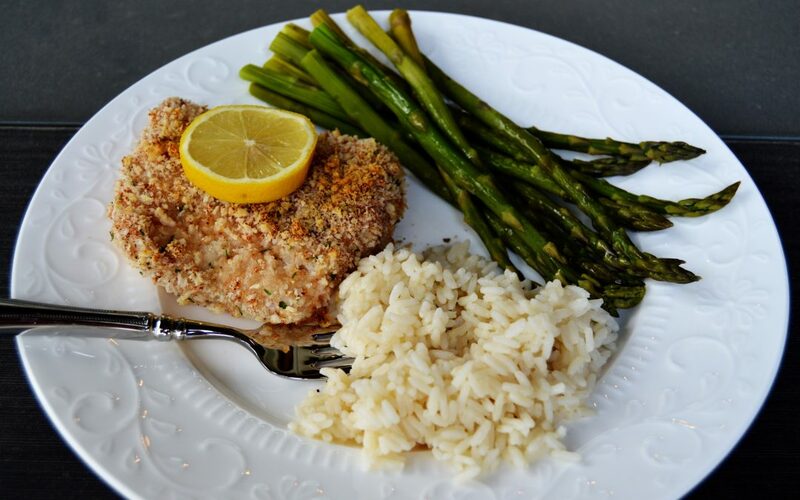 This is what I like to call, “a fish recipe for everybody.” It has been a healthy winner dinner, even enjoyed by my former non-fish enthusiast. If you want to bring more fish into your diet (The American Heart Association recommends two servings a week), but are not really a fan, you might give this a shot. Much like my Oven-Fried Chicken , the cod filets are “fried” in the oven, saving you from the extra grease and fat that’d you get from the deep-fryer. I like making my own tartar sauce because it is ridiculously easy, saves you from the extra junk that comes with the store-bought bottled stuff, and well…I just think it tastes better anyways. Coat broiler pan well with cooking spray, set aside. 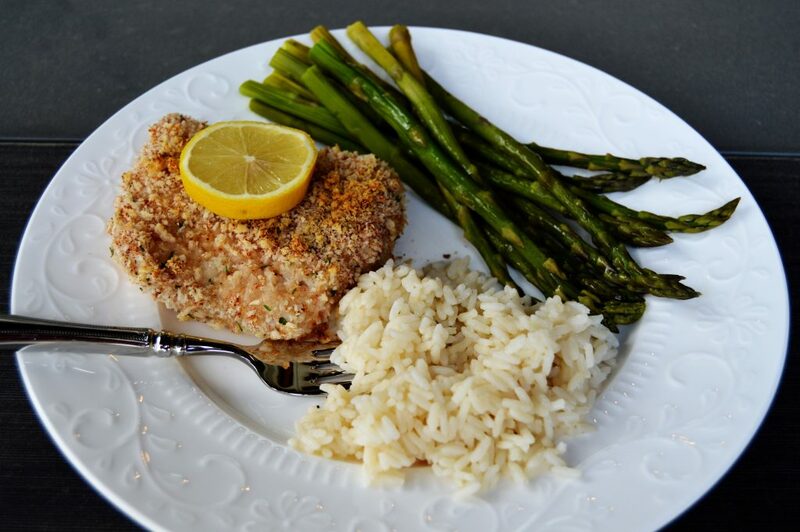 You will want a broiler pan to help keep the fish crispy. Mix all dry ingredients in a shallow dish (except for salt and pepper). After separating from yolks, beat 2 egg whites in another shallow dish. Lightly salt and pepper a cod filet, front and back. Then dip the filet into the egg whites to coat thoroughly. Transfer filet into the dry ingredient dish, coating both sides well, and place on broiler pan. Repeat process for remaining filets. Place in oven on BROIL for approximately 4-6 minutes each side. Watch them, because the time will depend on the thickness of your filets. They are done when it appears opaque and flakes easily with a fork. Serve with a little homemade tartar sauce (see below) and lemon wedges. Delish! Mix ingredients in a small bowl and oh snap! -You’re done. It’s all the fun of fried fish without the guilt. Give this a shot at home, and let me know what you think! Side suggestions: A nice green salad, or sautéed squash,zucchini, or asparagus, with brown or white rice. Shameless business plug time: If you live in the New Braunfels-San Antonio area and are in need of help with your diet, please check out my website , or like my Facebook page. If you don’t live in that area, I have you covered with our recorded webinars, where you can learn how to improve your nutrition, anywhere, anytime. I would be honored to help you lead a healthier lifestyle, prevent future health complications, and maybe even lessen dependence on medications through better nutrition.